Inextricably linked to Irish history and culture, potatoes are one of the most beloved and used ingredients on the Emerald Isle. Boxty is an offspring of the ol’ spud, “wrapped” in tradition and bittersweet memories, its name originating from the Gaelic word “bacstaí”. 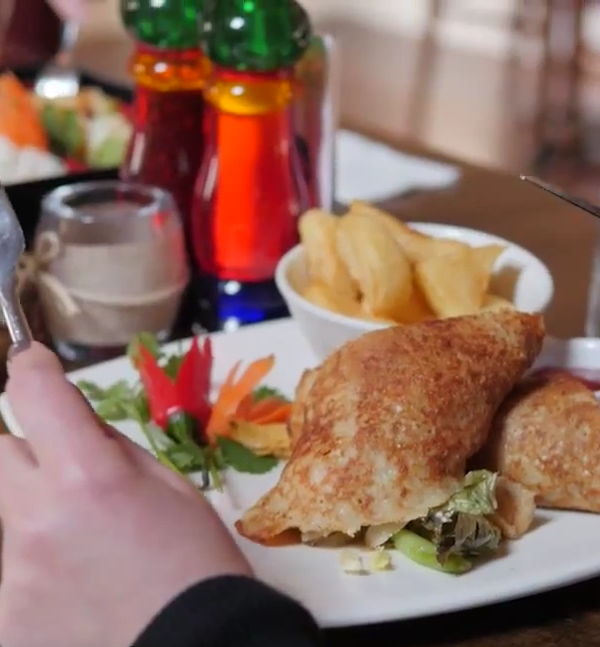 Mostly associated with the counties of Mayo, Sligo, Donegal, Fermanagh, Longford, Leitrim and Cavan, boxty can be prepared in many different ways – boiled, baked, or as a pancake. Boxty on the griddle/ Boxty in the pan/ If you can’t make boxty/ You’ll never get a man./ Boxty on the griddle/ Boxty in the pan/ The wee one in the middle/ That’s the one for Mary Anne. Leitrim’s Boxty producers take pride in being the true heroes at making some of the best Boxty in all the land. Upholding with gusto and the secret family recipes passed down from generation to generation, each of them have their own twist at making the most amazing Boxty. Do you have a boxty recipe that does not use mashed potatoes i.e. only raw grated potatoes?